Falci Adaptive Motorsports is a nonprofit organization dedicated to advancing adaptive motorsports and the rapid advancements in adaptive technology. For those individuals who have been injured from a spinal cord injury, increased mobility and independence are key to quality of life. 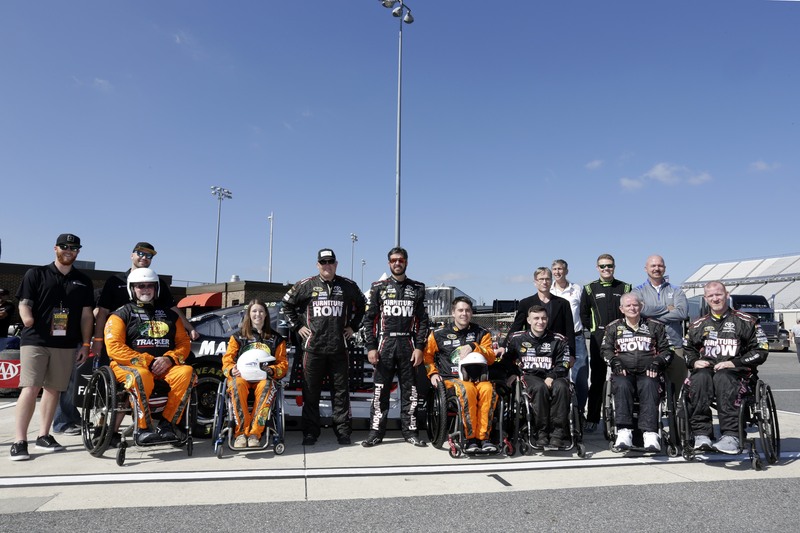 Through partnerships with several companies and organizations, Falci Adaptive Motorsports helps to move people with physical disabilities and paralysis forward to gaining that independence. Falci Adaptive Motorsports is part of the NASCAR racing community, building out an adaptive racecar. 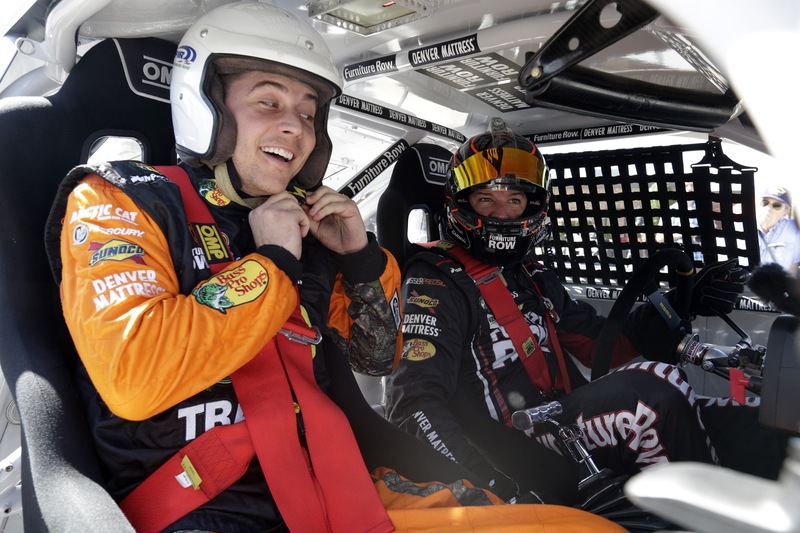 In some cases, certain individuals are even allowed to drive the specially-equipped NASCAR themselves. 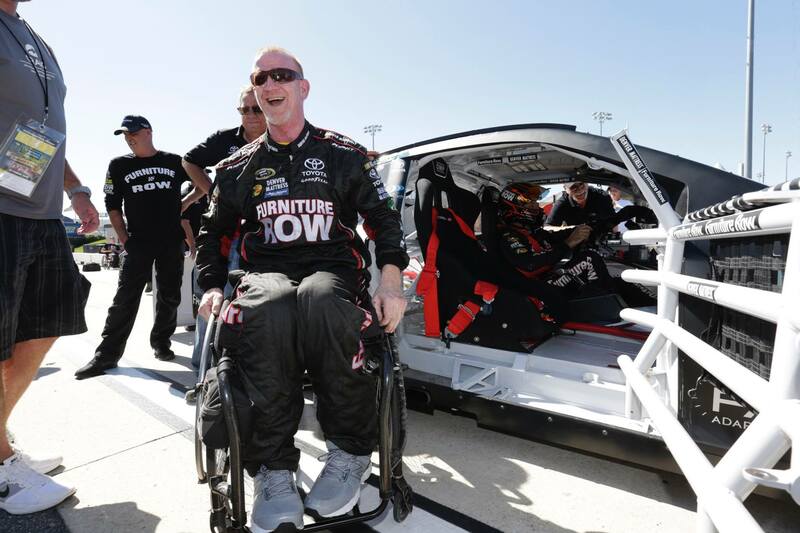 Falci Adaptive Motorsports proudly partners with these organizations: Furniture Row, Denver Mattress, Visser Precision, Toyota Racing Development(TRD), SureGrip, DireenTech, Princeton University, Craig Rehabilitation Hospital, U.S. Air Force Academy, and Falconworks. The program you will read about below is to make a difference in the lives of the mobility challenged by improving their quality of life in way they never imagined. The mission of our organization is to create an umbrella of awareness within the mobility challenged community and the general public. When a person has suffered a life altering mobility injury, they face a completely new world full of obstacles they must overcome or adapt to. When a patient begins the process of recovery the initial focus, for both the patient and the medical community, is to achieve a stable life situation. At first the goals can be simple such as creating a means of eating, sleeping, and developing a personal care regime. After getting a semblance of their life back a bigger goal is set revolving around mobility. Dr. Scott Falci is a world-renowned neurosurgeon based at Craig Hospital in Denver Colorado. Dr. Falci has spent years working to improve the quality of life and to expand the limits for his patients and for the entire mobility challenged community. Through the application of cutting edge thinking and the creation of new technological innovations Dr. Falci has relentlessly pushed back the frontier. This pioneering work has resulted in the development of some amazing adaptive control strategies. Along with his colleagues, he has taken the work well beyond the theoretical and moved it into a practical environment. The technology may soon be ready for wide spread use. The implementation of these solutions will, without any measure of doubt, enhance the independence of the mobility challenged community. 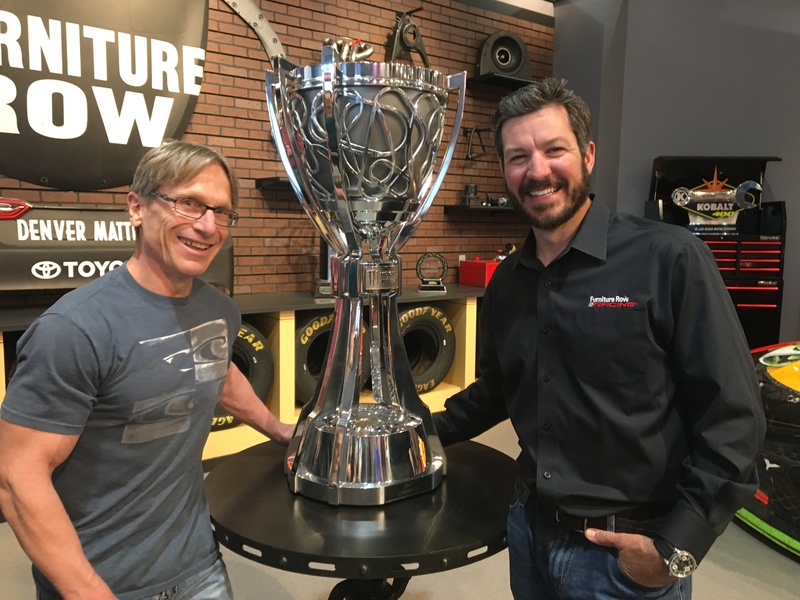 In Dec 2014 Dr. Falci was introduced to Furniture Row Racing through a mutual friend. Barney Visser (the owner of the team) and Joe Garone (the Team President) were impressed by the prototype level systems that Dr. Falci and his staff had developed. 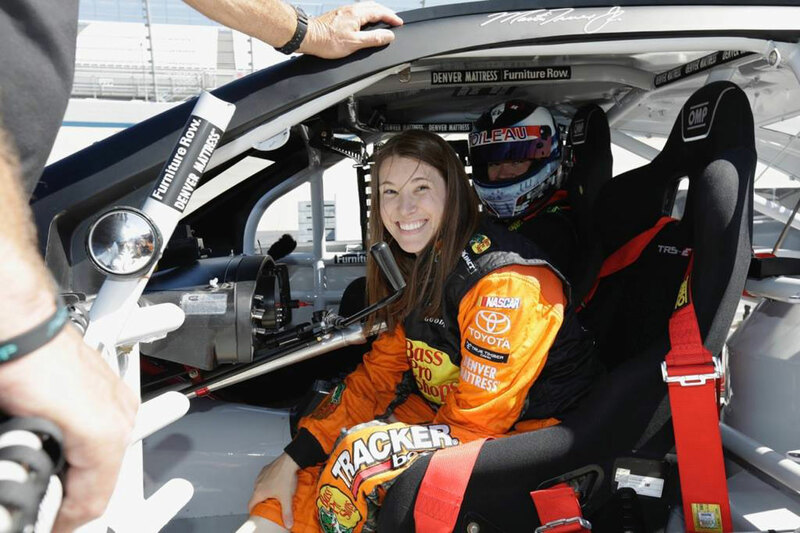 Dr. Falci was seeking an opportunity to utilize his control systems in an adaptive NASCAR Monster Energy Cup Series race car. The non-competition use of this car as a show case has and will continue to accomplish several important goals. 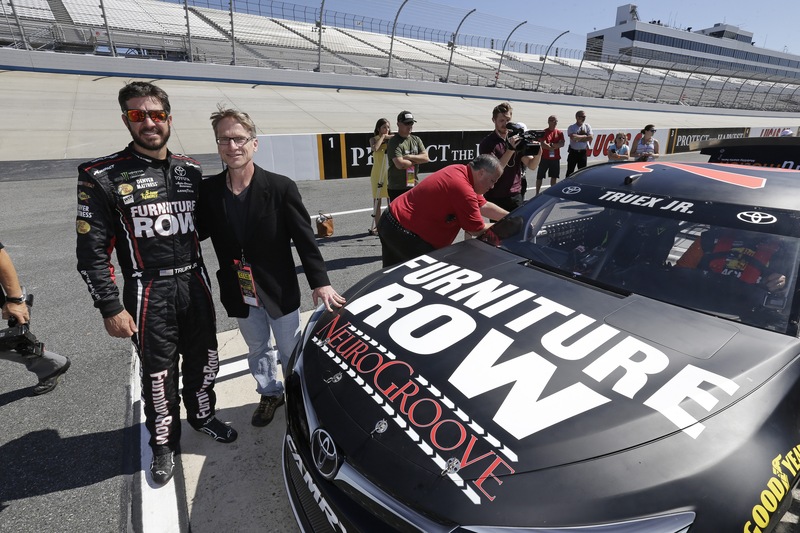 Furniture Row Racing became the founding sponsor of the NASCAR effort and agreed to build a safe, fast, track use capable, adaptive controlled race car. It was a successful collaboration. will continue to utilize the NASCAR experience as a highly visible center piece of the program and will expand the reach to include not only NASCAR venues but also private events and entities. Falci Adaptive Motorsports is “adapting” the concept of motorsport sponsorship to create a sustainable platform of awareness. The funding to continue showcasing this important technology and experience creates an opportunity for socially conscious organizations to become involved. Branding of the Falci Adaptive Motorsports race car will raise awareness for the program and enhance the profile of those involved. It’s true we are not racing on the track however the paint scheme and the branding space on the car is exposed to the very large, very loyal, NASCAR fan base. A narrative of this effort can only go a certain distance to create understanding of this life changing work. Please follow the videos below to experience the program through the eyes of the para-community. Their faces tell the story more eloquently than any words.